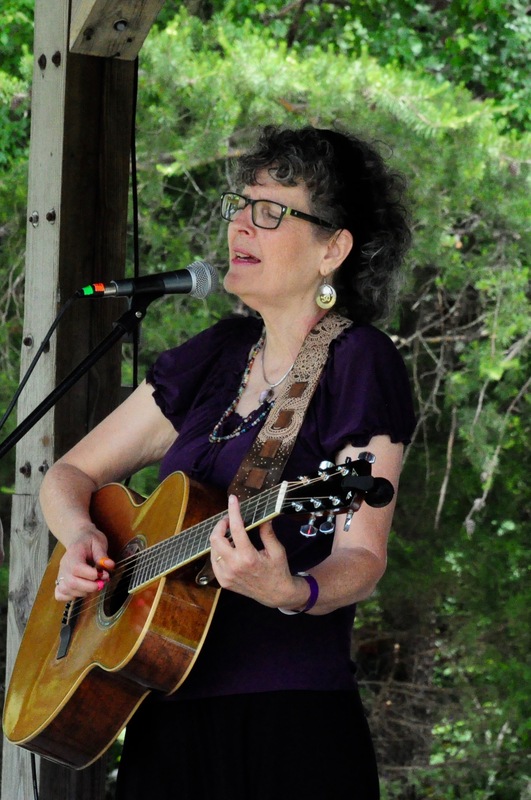 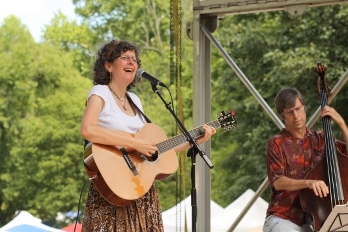 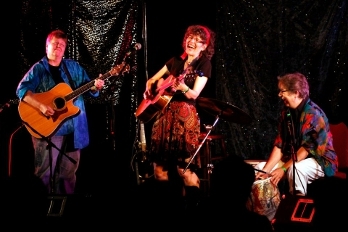 Virginia Women’s Music Festival, 2018, photo by Sandy Snyder. 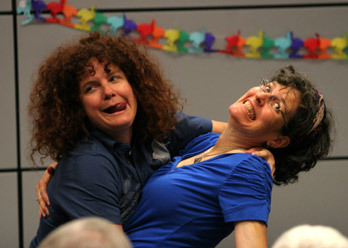 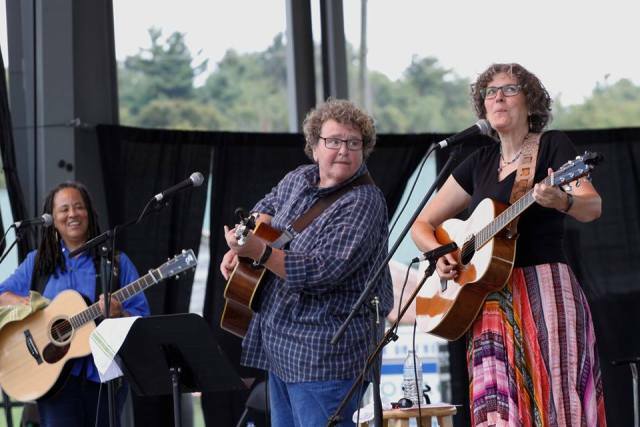 With Deidre McCalla and Dianne Davidson, “We Aren’t Dead Yet,” Ohio Lesbian Festival, 2017. 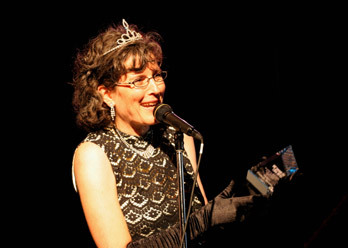 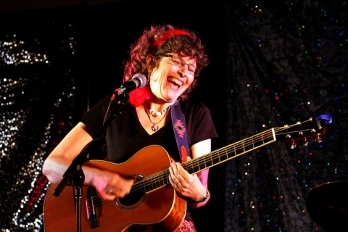 Photo by Janice Rickert. 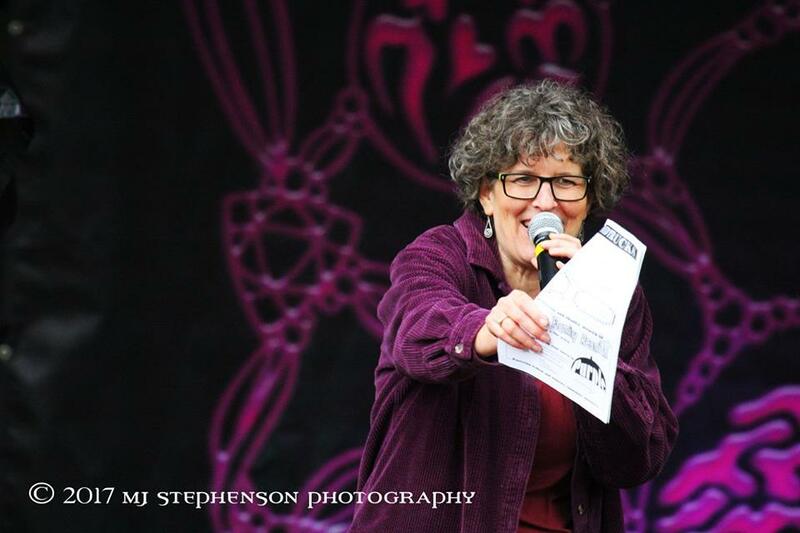 Emceeing at the Michigan Framily Reunion, 2017. 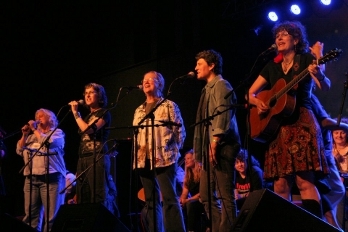 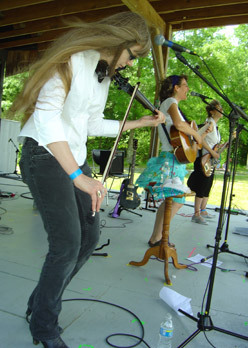 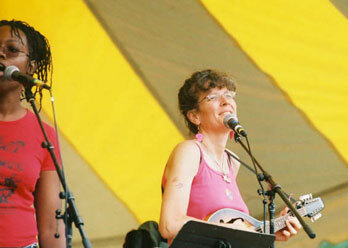 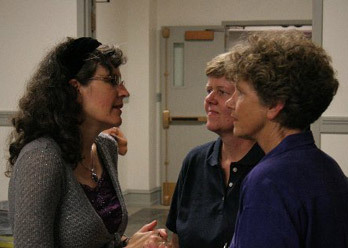 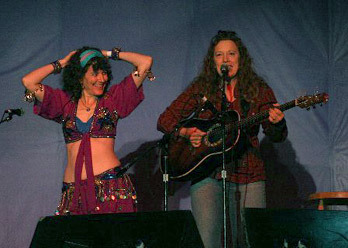 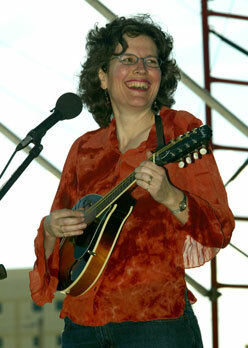 With Lisa Koch at the National Women's Music Festival, July 2006. 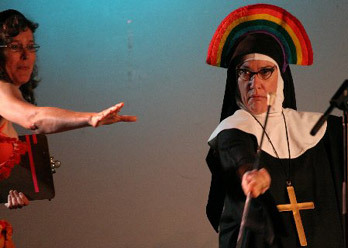 Taking your baton back from a nun is hard.